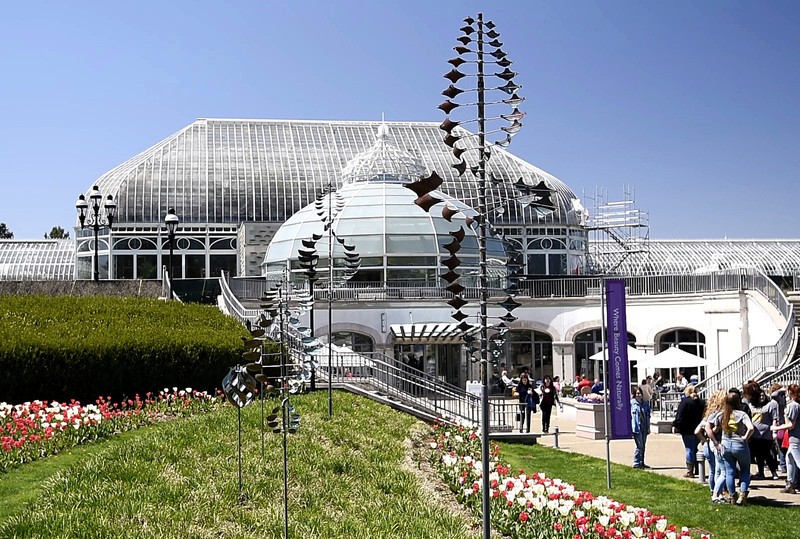 Lyman Whitaker’s wind sculptures are currently featured in the Summer Flower Show: ‘Gardens of Sounds and Motion,’ at Phipps Conservatory and Botanical Gardens. 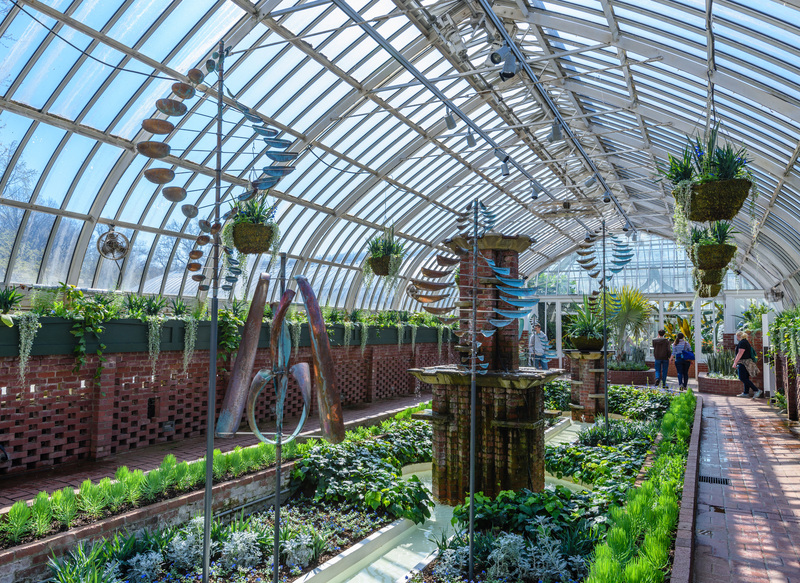 The show features a range of artists with artwork installed throughout the conservatory and gardens that continues with Phipps’ theme for the year of sensory experiences at the garden. Visit the gardens to enjoy a delightful cacophony of sensory perceptions including Whitaker’s sensationally visual wind sculptures. Whitaker’s sculptures capture the wind and give a physical example of how the ephemeral wind functions and moves. Various Whitaker wind sculptures are featured throughout the indoor and outdoor spaces of Phipps. This includes the pathway to the visitors entrance as well as the indoor Japanese sunken gardens. Each sculpture is made of copper and stainless steel and has been tested in over 90 mph winds. Furthermore, each sculpture spins on a sealed bearing. The exhibit will be at Phipps Conservatory and Botanical Gardens until the end of August. Each piece at the garden is available for purchase. You can also contact the Leopold Gallery if you would like a piece shipped to you. Phipps Conservatory and Botanical Gardens will receive a percentage of every sale. We are honored to work with Phipps Conservatory and Botanical Gardens and their inspiring staff. Upcoming exhibits for Lyman Whitaker’s sculptures include the Catalina Island Museum in California, which is scheduled for 2019. Always, don’t forget to #liveinspired.